These top health apps make it easy to learn about your health, save money and reaching your goals. Get test results, tracking fitness, scan meds, and more. Pharmazam is a physician ordered medication management system that integrates a smartphone app, a pharmacogenomics (PGx) DNA drug metabolism diagnostic test and analytical software to generate patient specific indications of Adverse Drug Reactions (ADRs) from Drug to Drug, Drug to Gene, Drug to Illness, Drug to Allergy, Drug to Food, and Drug to Lifestyle issues. Pharmazam is a system of three integrated components consisting of a mobile device application (smartphone app), a pharmacogenomics (PGx) DNA drug metabolism diagnostic lab test and cloud computing interpretation software. As you may have seen on the Dr. Oz show, there is nothing more opaque in our country's healthcare system than cost. Since prescription drug prices are not regulated, the cost of a prescription may differ by more than $100 between pharmacies across the street from each other. Insurance reform hasn't helped things either. Over the past decade, insurers have passed up to 80% of the cost of drugs onto the consumer. This creates an obstacle to effective care as cost is often the #1 cited reason patients don’t take their medication. With unrivaled industry data, thousands of doctors and hospitals use the GoodRx database to help their patients afford their drugs. Now you can too. After you download the app and register with GoodRx, you will receive a drug savings card that provides discounts on most prescribed drugs filled at just about every pharmacy in America. 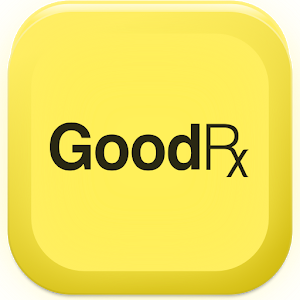 GoodRx is a top rated medical app. Don’t go to the pharmacy without checking drug prices at GoodRx first. In a society that encourages hectic schedules and overwork, science now shows us that meditation offers life-changing benefits. By cultivating a daily practice, we can all work better, be more productive, and have happier lives. Calm the unique new meditation app offers inspiration and guided meditations every day. Join the millions of health app users experiencing the life-changing benefits of the #1 app for mindfulness and meditation to bring more clarity, joy and peace to your daily life. The Happiest App in the World! Based on its medical accuracy, its utility in supporting health goals, and usablity, The Wonder Weeks has been selected by CompendiumDx as the top health app for infant development. Wonder Weeks is a sanity saver for new moms and mother's to be. The app offers guides for all things infant care, sleep cycles, crying deciphered and intellectual development. Also from My Wonder Weeks is the Diary, a keepsake for all beloved Wonder Weeks moments. Learn how to stimulate your baby’s mental development, helping infants turn predictable attributes into developmental steps forward. The Diary and App do an excellent job in describing the incredible mental developmental changes and regressive periods that all babies go through. In turn, giving users (i.e. new Mother's) the elusive peace of mind that comes with motherhood.